Everyone does what they can do best. If you’re in the business of making screening machines, we think you should make them yourself. With a WIMA screening machine, you can be certain that all of the key components are made in our in-house facilities – from the pre-cuts to assembly through to paintwork and testing. Because we believe we can do all of this better than anyone else. And we’re not the only ones – many prestigious companies use our expertise and production facilities for manufacturing according to their drawings. We therefore focus on a very high degree of vertical integration. In our production hall 1 you will find everything you need for the entire manufacturing of various products. Thereby WIMA ensures the best quality and a high manufacturing accuracy. Careful preparation is needed to turn semi-finished goods like sheet metal and steel strip into the final product. Clean, rust-free surfaces are absolutely indispensable to ensure high-quality weld seams and the final surface finish. 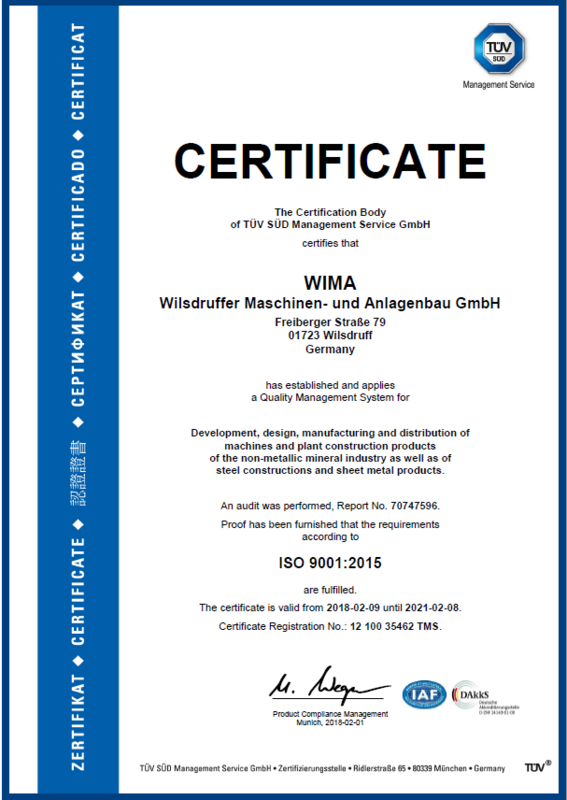 The WIMA Quality System has an almost legendary status for some suppliers – and rightly so! The standards that we set ourselves also apply to all of our suppliers, whatever their size. Which is why we’re certified to ISO 9001: 2008. 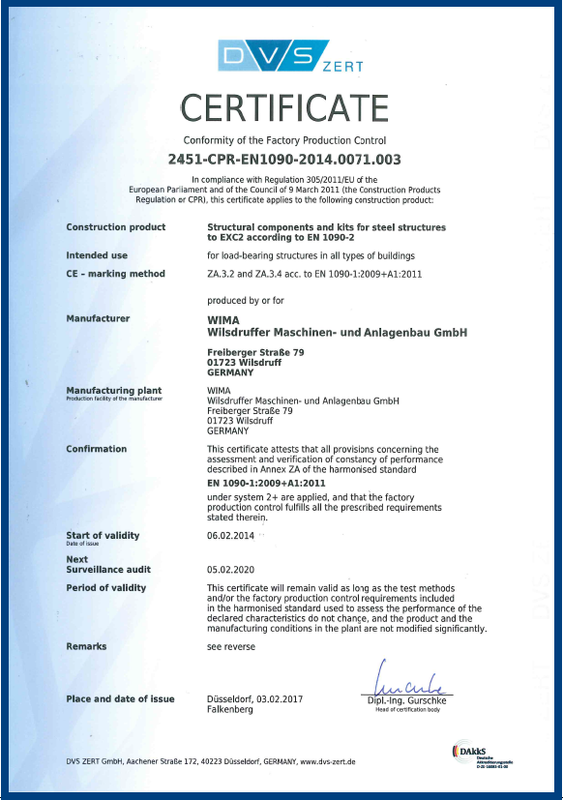 We are TÜV-certified for carrying out re-marking work. For blasting of semi-finished goods, our continuous roller conveyor blast machine can handle up to 16,000 mm x 2,200 mm x 580 mm (L x W x H). 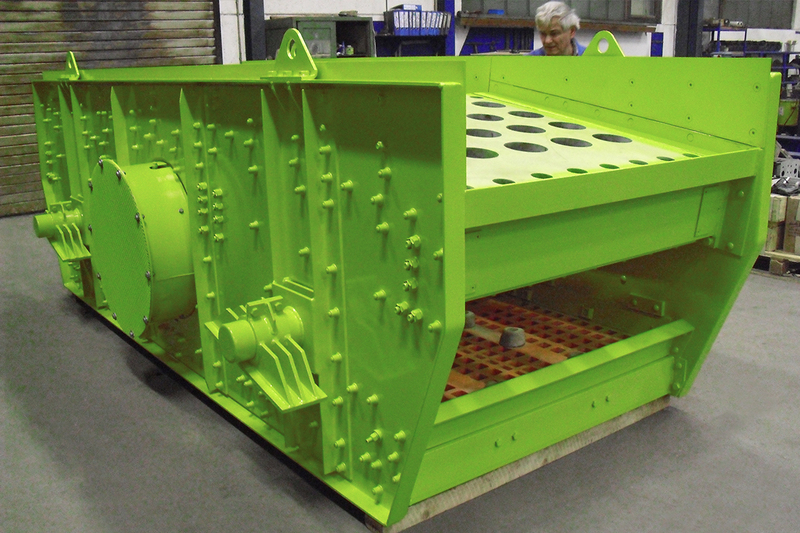 A WIMA screening machine comprises many individual parts – from large sheet-metal sidewalls to small metal components such as lifting lugs, mounting brackets, etc. Their accuracy of fit is a guarantee for the ultimate durability of your screening machine. For sheet metal cutting, a laser cutting machine rated at 4 kW is available. This can be used to cut sheets up to 12,000 mm x 3,000 mm (L x W) at with thicknesses up to 20 mm (structural steel) or 15 mm (stainless steel). WIMA’s guillotine shears can cut lengths up to 4,050 mm with material strengths up to 12 mm. 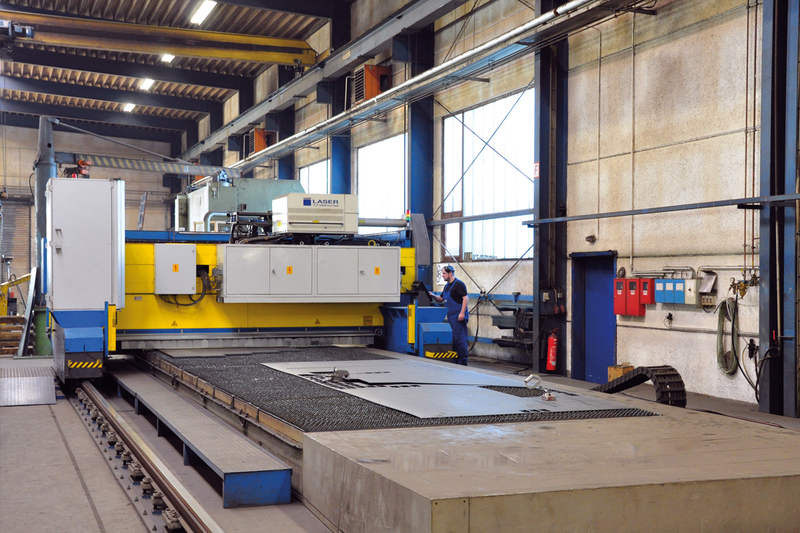 For heavy-gauge sheets up to 150 mm, a CNC-controlled thermal cutting machine is available. 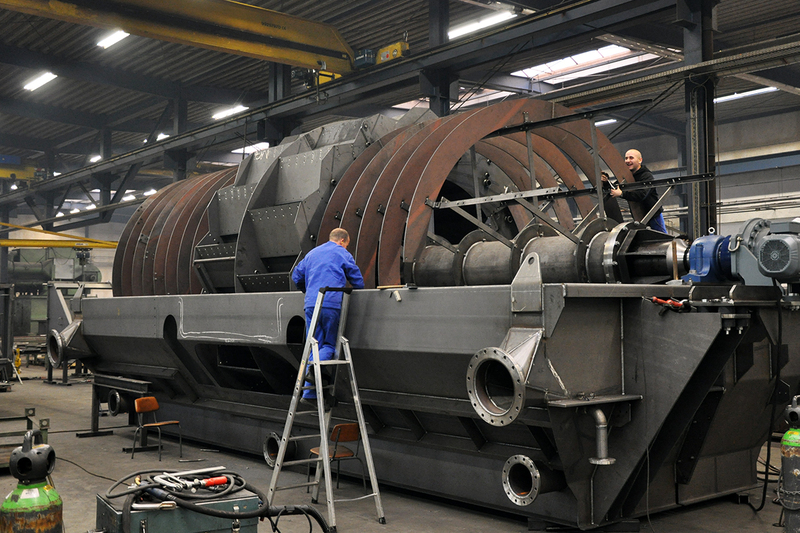 We use this to process sheets up to 8,000 mm x 3,000 mm (L x W). We apply experience, sense and a lot of pressure to get the sheet metal plates for your WIMA screening machine into shape. Cleanly machined holes and high-precision cuts ensure it all fits together properly later. 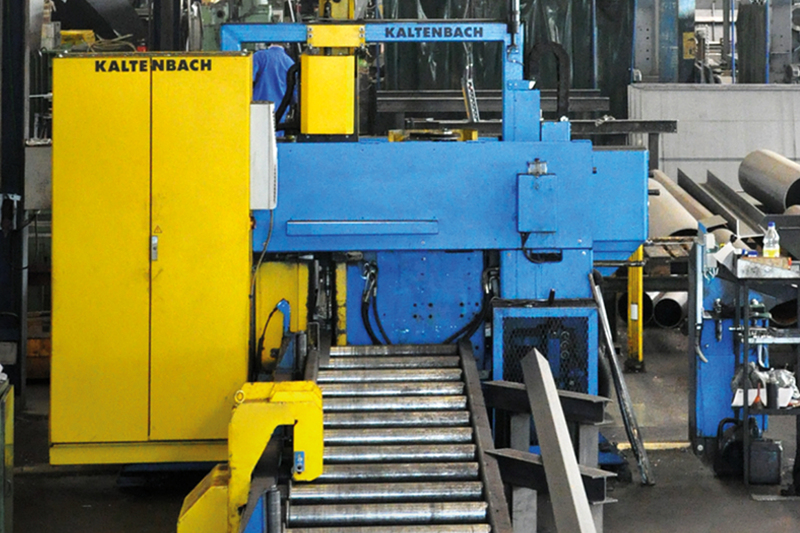 Our CNC-controlled folding press applies 400 t of pressure over a length of 5,050 mm. 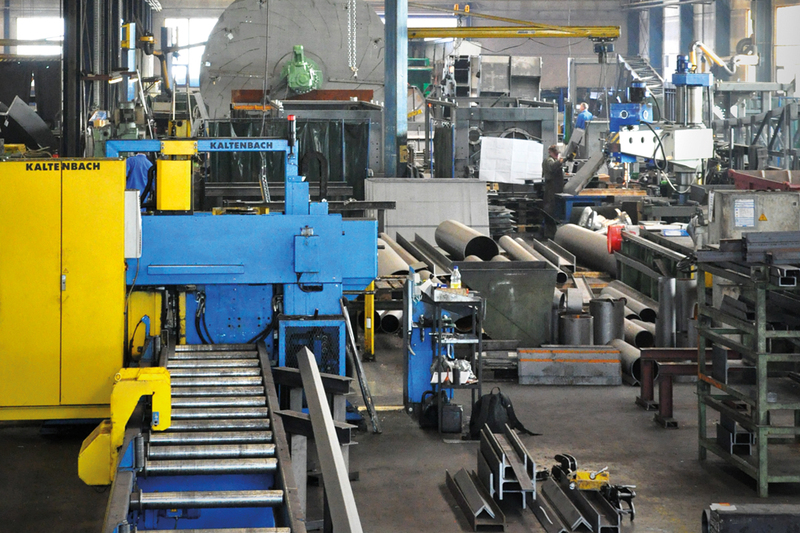 Drilling, sawing and marking is all CNC-controlled on a combined drilling/sawing machine that can handle beams up to HEM 600 and lengths up to 16,000 mm. With a steady hand and plenty of experience,we create weld seams that hold your WIMAscreening machine together so tightly that it seems milled out of a single piece. These results are achieved by our skilled and certified MIG/MAG and electric welding specialists. We weld single items with weights of up to 32 t.
We are EN 1090-2-certified and hold comprehensive welding proficiency certification for dynamically-stressed structural steel. One in five employees at WIMA works in welding. This figure alone underlines the all-important focus on welding technology here at WIMA. 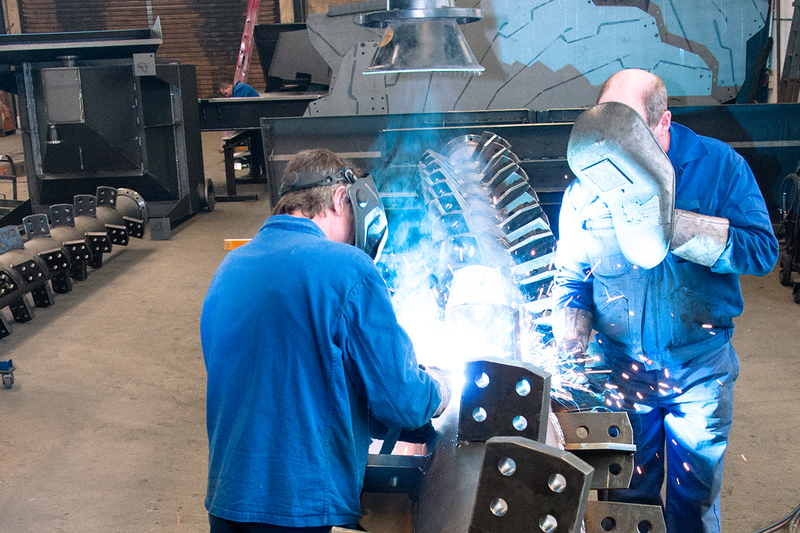 Our skilled welders have the necessary professional qualifications and training (e.g. 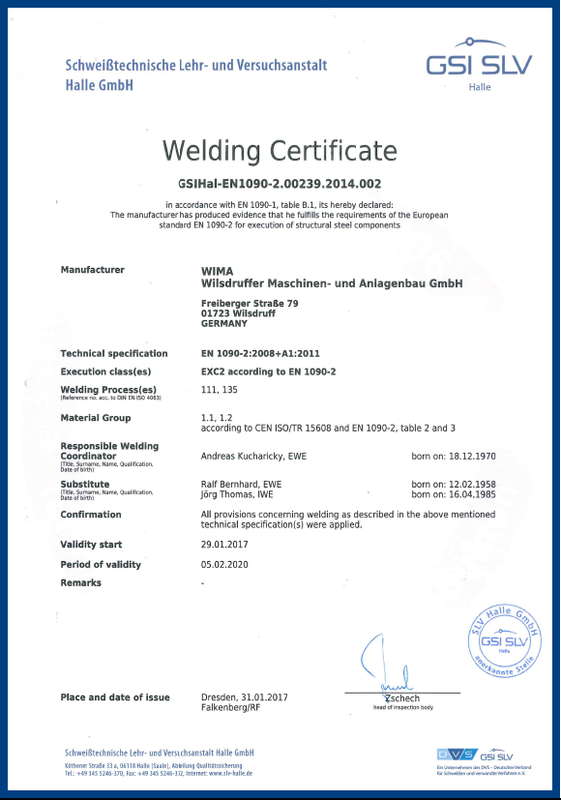 EN 1090-2 structural steel welding certification). 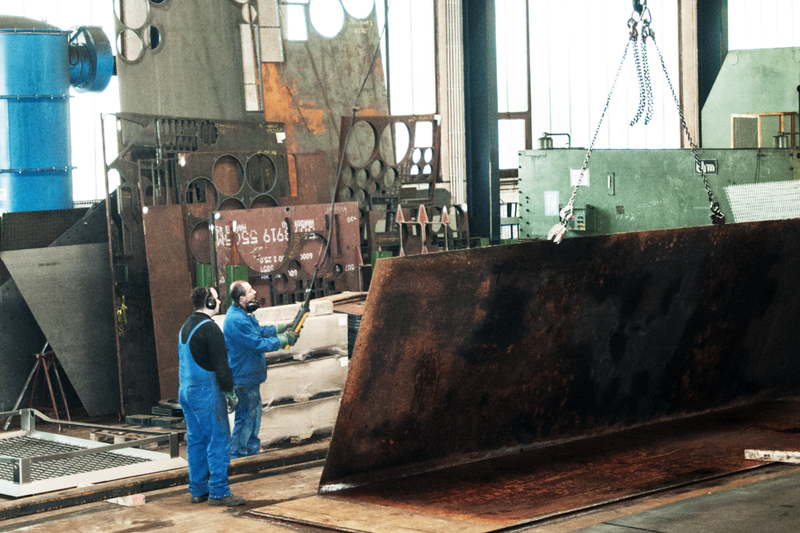 In our production facilities, we manufacture steel structures with unit weights of up to 32t. Once components have been competently manufactured in-house and bought-in parts subjected to thorough testing, final assembly is merely a question of expertise and experience. All of which is handled by five pillar cranes and eight gantry cranes, two of which are capable of lifting up to 16 t.
This unit machines sheet metal plate into funnels, troughs, drain chutes, etc. 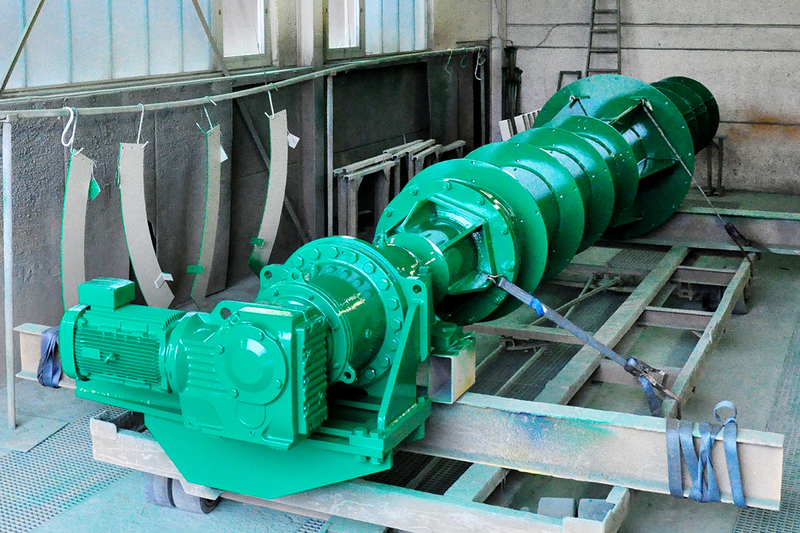 Our Drive System Unit handles the assembly of electromechanical and pneumatic components. Since screening machines have a special place in our company business, we have a dedicated screening machine construction unit with an ultra-modern test bench for instrumentation and control technology. Equipping surfaces exposed to wear and tear with the right rubber formulation is a job for the seasoned practitioner. Which is why even this step in the process is handled by us in-house. It’s our belief that a good product should also look the part. Which is why we paint our components and machines in our own paintworks. For surface protection work, we have two 120 m2 paintworks available, with heating, extraction and filter systems.